Insulated steel carriage house style garage doors. The perfect blend of beauty and practicality, these carriage house doors look like wood, but they are actually crafted of multiple layers of durable, low-maintenance steel and insulation topped with a woodgrain textured composite overlay. 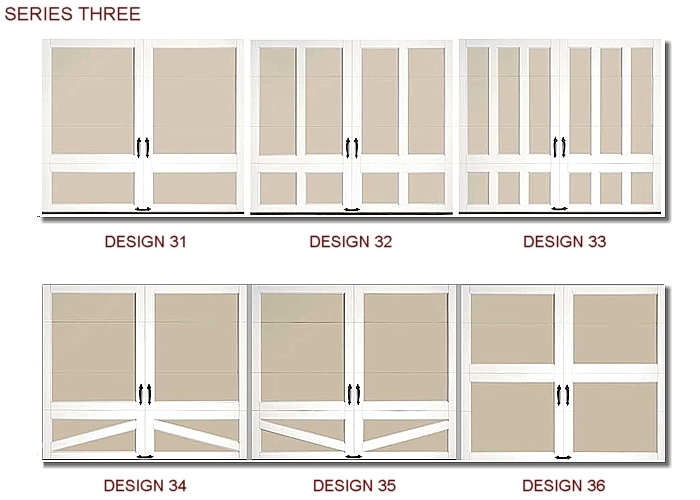 COACHMAN® collection garage doors feature the charming appearance of an old-fashioned swing-out carriage house door, but offer the built-in convenience of a modern overhead garage door. Throughout the design and construction, there is a recurring blend of beauty and practicality that is evident in the details, like the attractive yet durable steel and composite construction. 4-layer, Steel + polystyrene insulation + steel + composite overlay. Two insulation thickness options, both with a thermal break for improved energy efficiency. Insulation with thermal break ( 2" Intellicore polyurethane, 2" polystyrene or 1-3/8" polystyrene insulation with R-values from 6.5 to 18.4). Heavy duty hinges for long lasting performance. Rust-proof, aluminum-bottom weather sel retainer helps protect the bottom of the door. Custom composite overlay is woodgrain textured with detailed coped edges for improved aesthetics. 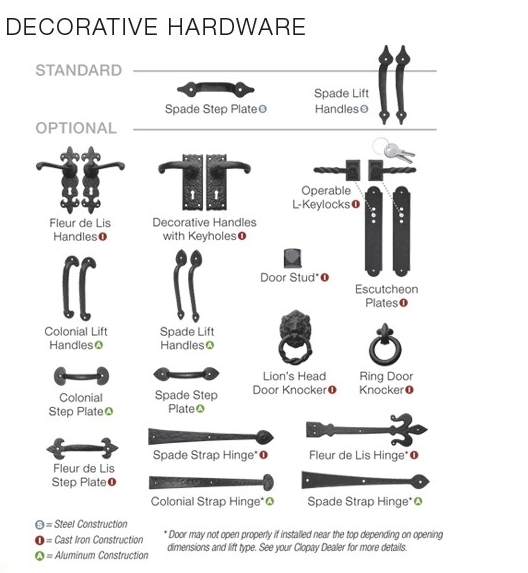 11 base designs with optional windows and decorative hardware. Over 100 unique style combinations. 5 factory finish paint colors. In the Coachman Collection proves that in simplicity, there is sophistication. Architectural home designs such as Mission, Shaker and prairie look beautiful with the understated elegance of this classic look. Two Tones Color for face and Overlay avalible in any combination of above colors. Coachman Collection door overlays and exterior steel skin can be painted to match a color scheme using a high quality exterior latel paint. Overlays may be painted dark colors with a light reflective value (LRV) of 8 or higher.